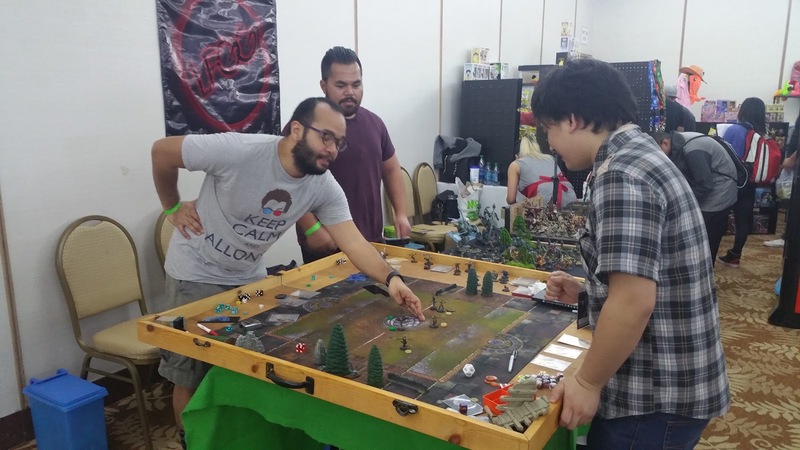 I had a blast at Otaku Recon 2016 but it almost didn’t happen. A few months ago I contacted the people from Kai Productions but they were not giving out spots for exhibitors. The group was disappointed but we understood. Two weeks ago the organizers offered us a spot the main hall! I’m not sure what happened but we were willing to fill the spot. The short notice was unfortunate. I wasn’t able to make a new diorama or display board but we did the best with what we had. I think we did a lot better this year since we had a wide variety of wargames. 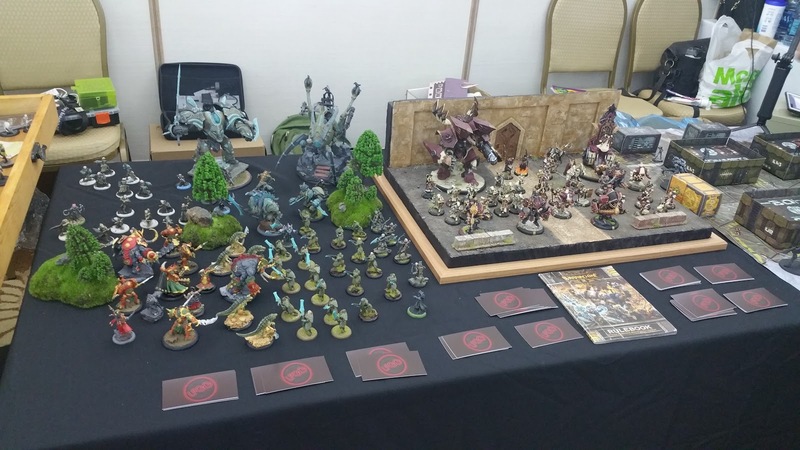 We decided to do a display most of our Wargames: Warmachine, Guild Ball and Infinity. 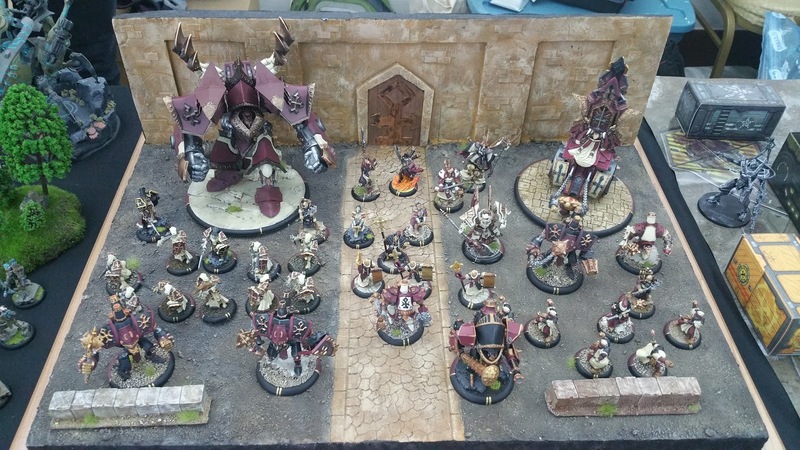 Last year we did demos of Warmachine, this year we were going to focus Guild Ball and maybe Infinity. Since they were skirmish games, the demo would be easy. 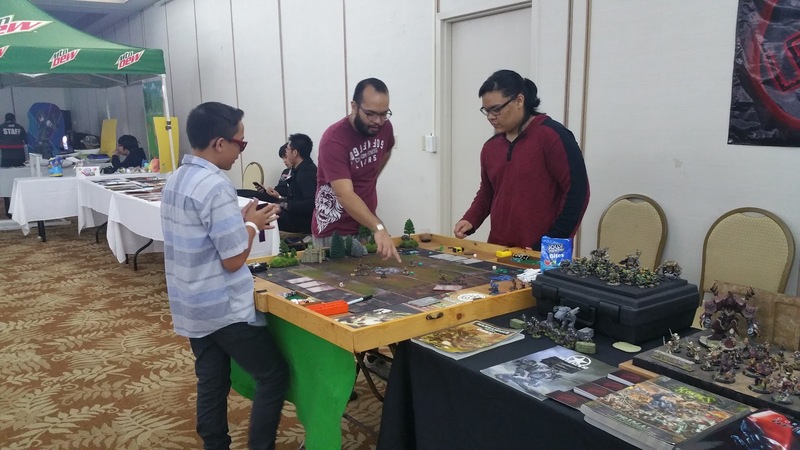 We set up the demo table with Guild Ball and the other table with Warmachine and Infinity. 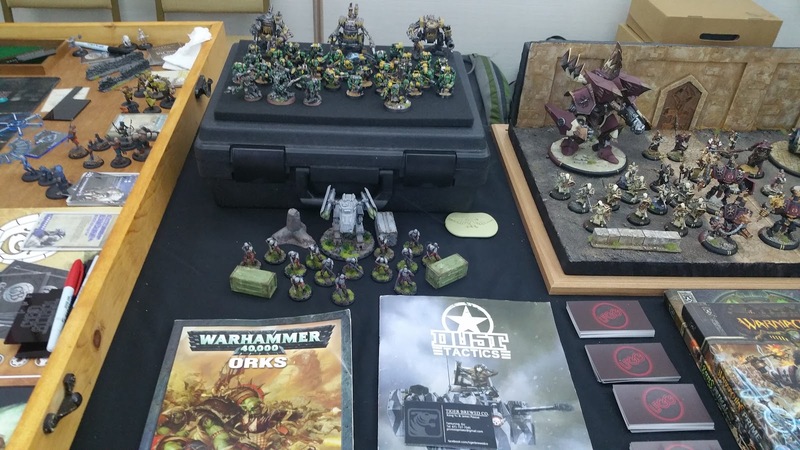 On the second day we had a small Warhammer 40k Ork display and a Dust Tactics display. 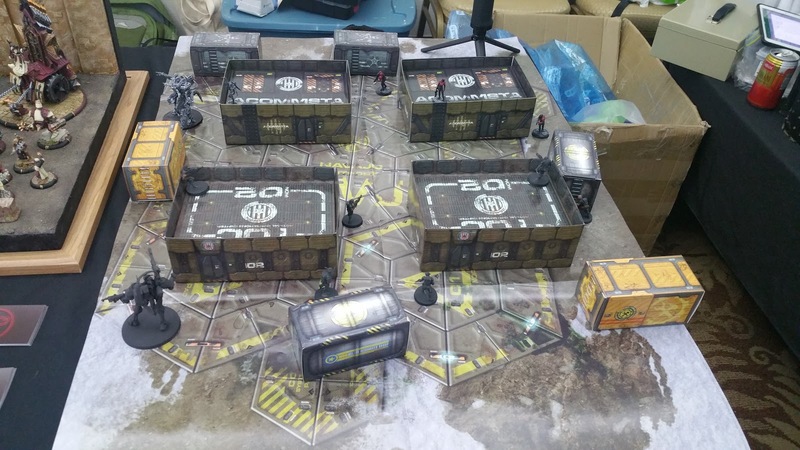 We did a few demos of Guild Ball and Infinity. 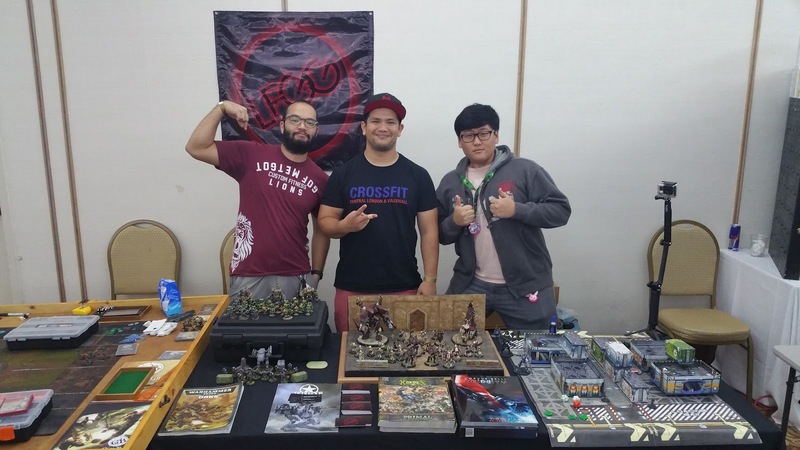 The new players really liked the games and will hopefully start playing with us. Instead of video, I was able to take a time lapse with my GoPro. I will upload the video soon. 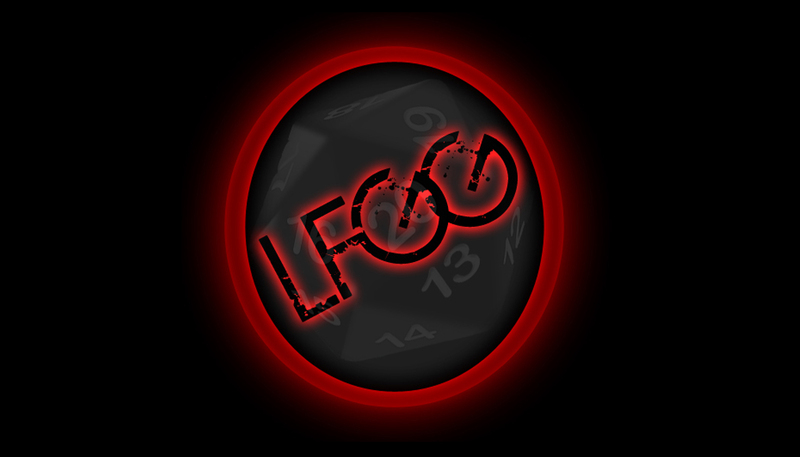 Check out the Limitless Fails Gaming Group Facebook page for more info about meet ups.